You will need an Android development environment set up on your machine, including Java JDK 8+ and Gradle 4.7+. You will also need ngrok, git and a Google account. This tutorial assumes some familiarity with Android development. In a previous tutorial, I showed you how to create a chat app for Android using Kotlin and Pusher. The app will use Dialogflow to process the language of the user and understand what they are saying. It will call the Numbers API to get random facts about a number. Under the hood, the app communicates to a REST API (also implemented in Kotlin) that publishes the message to Pusher. 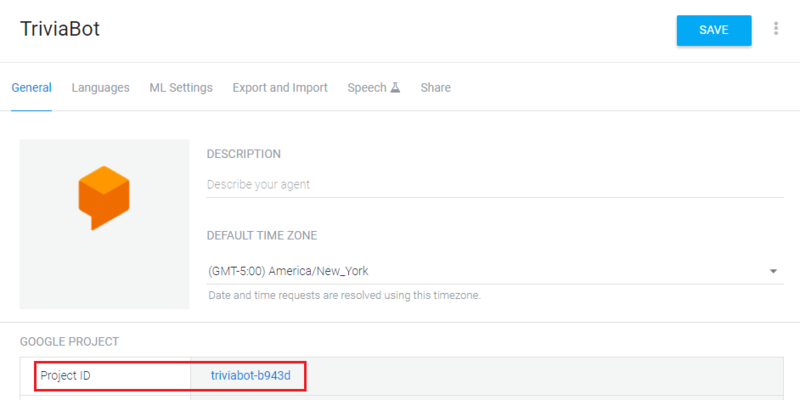 If the message is directed to the bot, it calls Dialogflow's API to get the bot's response. 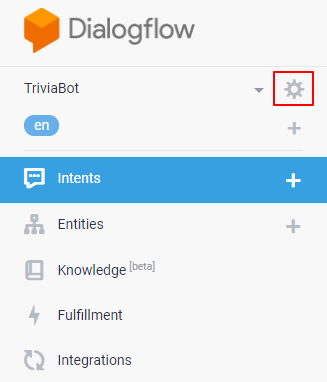 In turn, Dialogflow will process the message to get the user's intent and extract the number for the trivia. Then, it will call an endpoint of the REST API that makes the actual request to the Numbers API to get the trivia. For reference, the entire source code for the application is on GitHub. Create a free account at Pusher. 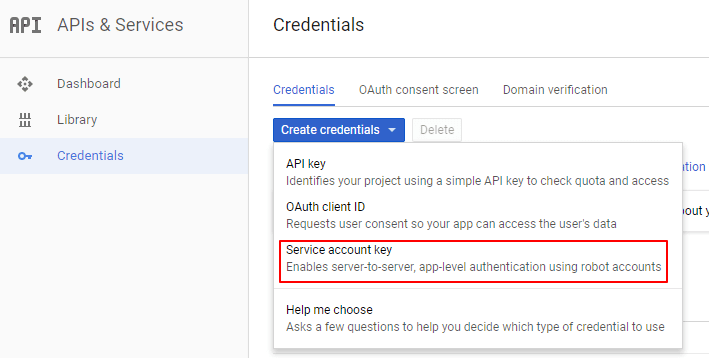 Then, go to your dashboard and create a Channels app, choosing a name, the cluster closest to your location, and optionally, Android as the frontend tech and Java as the backend tech. 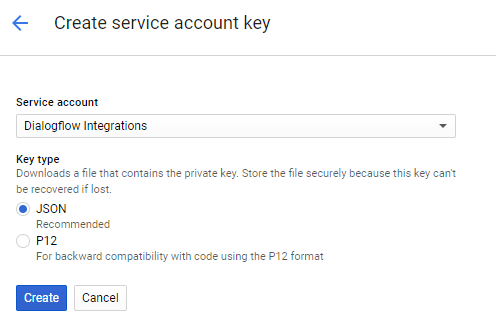 Save your app ID, key, secret and cluster values, you’ll need them later. You can also find them in the App Keys tab. We’ll use the application from the previous tutorial as the starter project for this one. Clone it from here. Don’t follow the steps in the README file of the repo, I’ll show you what you need to do for this app in this tutorial. If you want to know how this project was built, you can learn here. 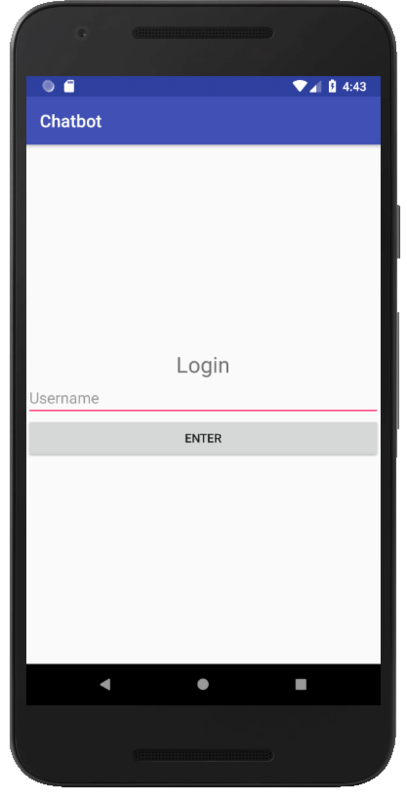 Now, open the Android app from the starter project in Android Studio. You can update the versions of the Kotlin plugin, Gradle, or other libraries if Android Studio ask you to. In this project, we’re only going to add two XML files and modify two classes. const val botUser = "bot"
Next, you need to modify the class com.pusher.pusherchat.MessageAdapter.kt to support the messages from the bot. Now you just need to set your Pusher app cluster and key at the beginning of the class ChatActivity and that’ll be all the code for the app. Go to Dialogflow and sign in with your Google account. Default fallback intent, which it is triggered if a user's input is not matched by any other intent. And Default welcome intent, which it is triggered by phrases like howdy or hi there. 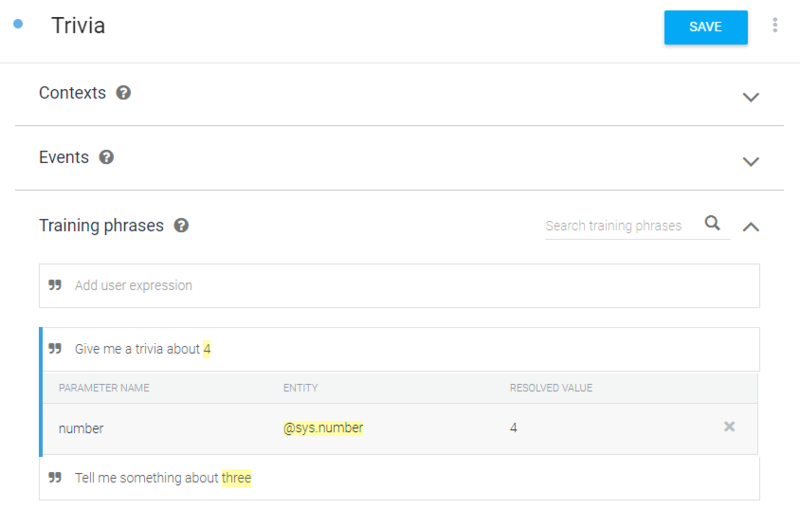 When a user posts a message similar to the training phrases, Dialogflow will extract the number to this parameter so we can call the Numbers API to get a trivia. But what if the user doesn’t mention a number? 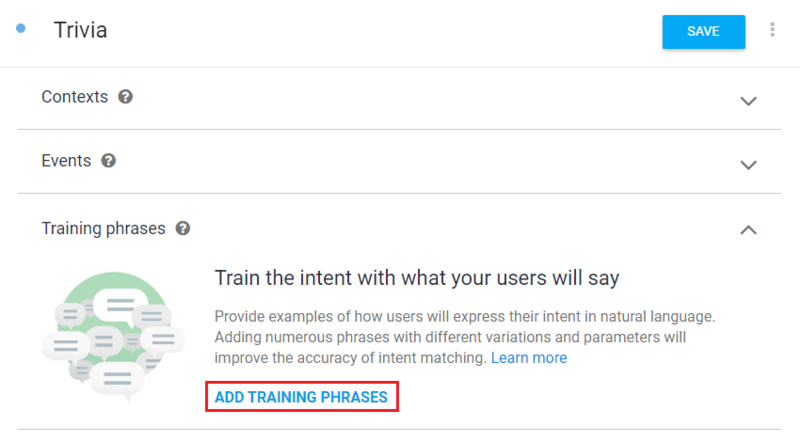 We can configure another training phrase like Tell me a trivia and make the number required by checking the corresponding checkbox in the Action and parameters table. 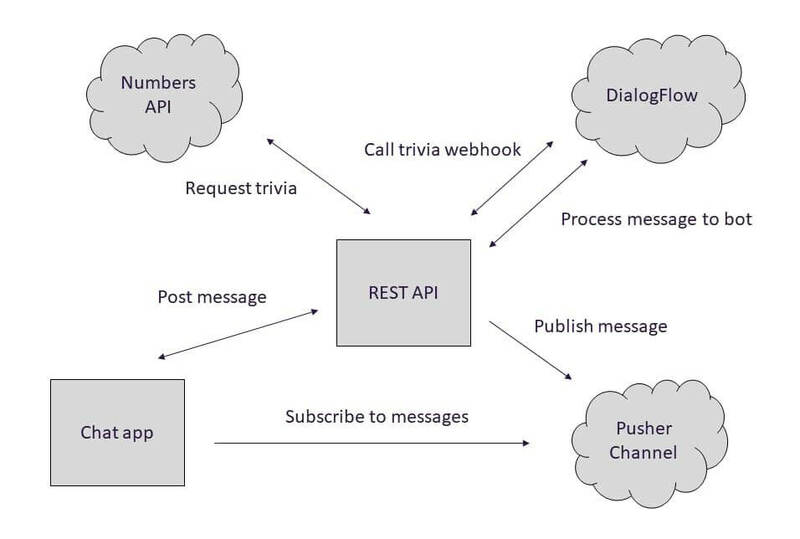 Dialogflow will call the webhook on the app server API to get the response for this intent. 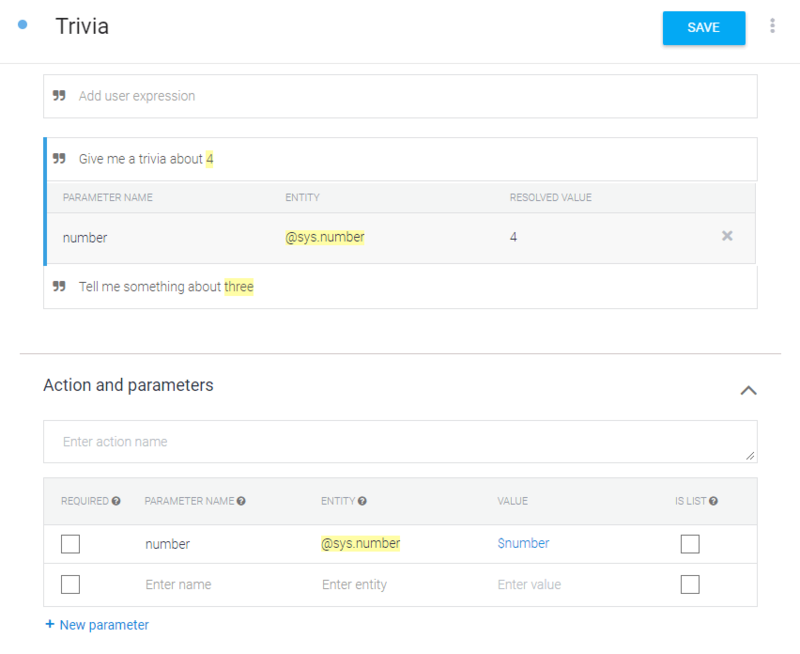 The webhook will receive the number, call the Numbers API and return the trivia to Dialogflow. Let’s implement this webhook and the endpoint to post the messages and publish them using Pusher. Open the server API project from the starter project in an IDE like IntelliJ IDEA Community Edition or any other editor of your choice. khttp, an HTTP library to make requests to the Numbers API. 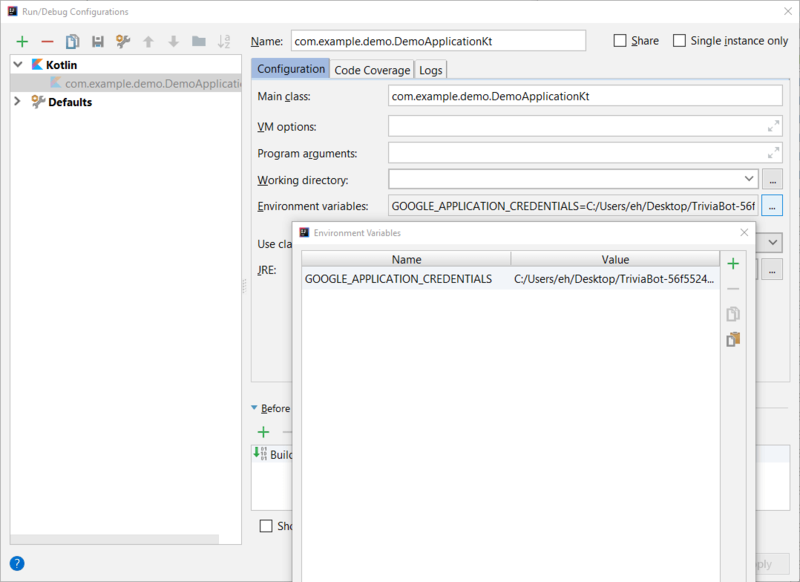 Google Cloud Java Client for Dialogflow, to call Dialogflow’s API. private val botUser = "bot"
private val dialogFlowProjectId = "DIALOG_FLOW_PROJECT_ID"
private val pusherChatName = "chat"
private val pusherEventName = "new_message"
MessageController.kt is a REST controller that defines a POST endpoint to publish the received message object to a Pusher channel (chat) and process the messages of the bot. If a message is addressed to the bot, it will call Dialogflow to process the message and also publish its response to a Pusher channel. Pusher is configured when the class is initialized, just replace your app information. We are using the username as the session identifier so Dialogflow can keep track of the conversation with each user. This file is your access to the API. You must not share it. Move it to a directory outside your project. Build the response with the format expected by DialogFlow (with the response text in the fulfillmentText field). Here you can see all the request and response fields for Dialogflow webhooks. And that’s all the code we need. We are going to use ngrok to expose the server to the world so Dialogflow can access the webhook. Download and unzip ngrok is some directory if you have done it already. This will create a secure tunnel to expose the port 8080 (the default port where the server is started) of localhost. Copy the HTTPS forwarding URL, in my case, https://5a4f24b2.ngrok.io. If you are using the free version of ngrok, you must know the URL you get is temporary. You’ll have to update it in Dialogflow every time it changes (either between 7-8 hours or when you close and reopen ngrok). Or if you’re using an IDE, execute the class ChatbotApiApplication. Then, in Android Studio, execute your application on one Android emulator if you only want to talk to the bot. If you want to test the chat with more users, execute the app on two or more emulators. 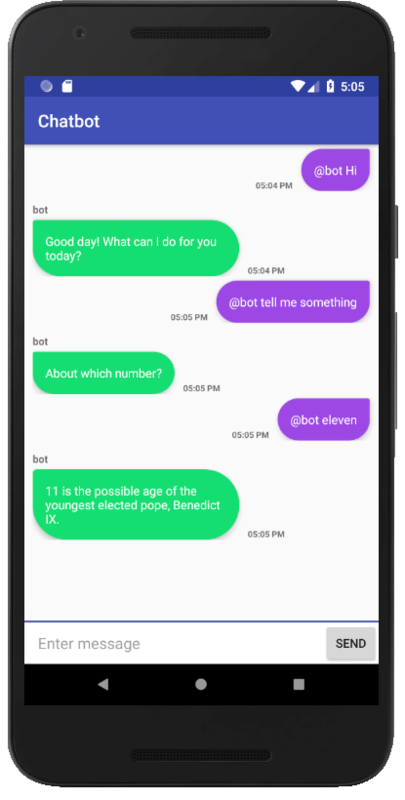 You have learned the basics of how to create a chat app with Kotlin and Pusher for Android, integrating a chatbot using Dialogflow. 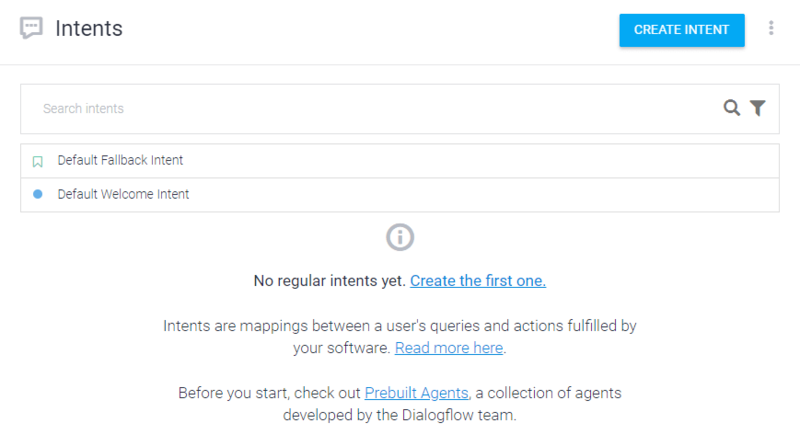 Here you can find more samples for Dialogflow agents. Remember that all of the source code for this application is available at GitHub.